The King V2 Mod comes in a 100% polished stainless steel or a 100% brass body. It is especially designed to house 26650 batteries and RBA or RDA atomizers. It features high quality components that would help to provide a powerful performance in vaping. The flush and seamless appearance would enhance the aesthetics of the King V2 Mod even further. The Mod has a diameter of 29mm and is presented in its unique black color. The letters “King” are carved on the tube in hollow with a smooth finish. The sleek mod contains a recessed spring loaded button, which would allow to set the mod down safely while it is unlocked. The mod would support only 26650 batteries, which is able to last all day long running. The mod is equipped with a copper plated bottom firing pin and a copper plated atomizer contact pin for greater conductivity. The positive pin is designed as a two-pieced version, in order to allow you to independently adjust the pin to eliminate any extra battery play within the mod. The reverse threaded locking ring would prevent accidental firing and great to use on the go. The main features of the King V2 mod are highlighted below. The aforementioned are some of the salient features of the King V2 mod. There are many online e-commerce stores that sell this handy gadget. The King V2 mod could be purchased for less than $30 from most of these online stores. The latest King V2 mod would help to enhance your vaping experience in leaps and bounds. You can find them in bulk at Aspire Wholesale for cheapest prices. The Stingray X mod is a high end mechanical mod which is quite compatible with 510 RBA atomizers. The product is manufactured with solid copper wrapped with 304 stainless steel material. The mod is designed to house 18490, 18650 and 18350 batteries. The Stingray mod is available in black color and also comes with a brass body. This mod is different from most of the mods that are currently available on the market because of its high quality. The lock ring that comes at the bottom of the Stingray X mod is also made of polished 304 stainless steel. The copper battery contacts are silver plated and designed so that they could be adjusted easily. A nice, deep, laser ditched logo is engraved on the tube in hollow. The product is available with most of the e-cigarette wholesalers online. It is priced below $30 on most of these sites and could be purchased as a wholesale item too. JD-Tech and Hawk Vape are two of the most popular brands of the Stingray X mod. The major features of the Stingray X mod are highlighted below. All in all, the Stingray X mod is a top quality product available for an affordable price. 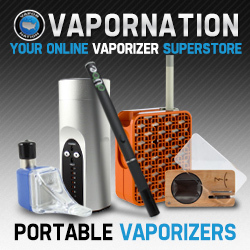 It will surely help to take your vaping experience to the next level. 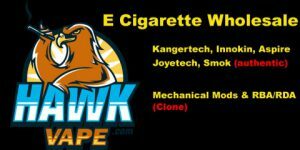 Be sure to check out this Electronic Cigarette Wholesale seller.